It’s the return of the all mighty chia seed! Bursting with antioxidants, fatty acids, vitamins, minerals, fiber and protein, it’s one little seed that’s hard to beat. 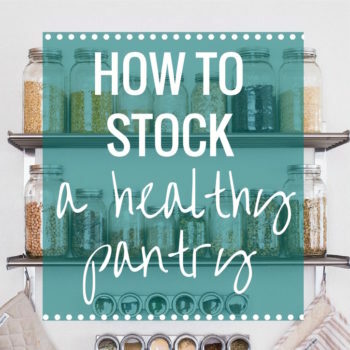 If you’re like me, you might have a few jars or maybe even a super huge bag burning a whole in your pantry. It can be hard to figure out what to do with them sometimes, right? I prefer to use ground chia seed as an egg replacer for baking because, in my opinion, there’s a time and a place for that certain crunchy texture and it’s not in my baked goods. Eh Eh. Granola bars, on the other hand, are something I’ll happily enjoy crunching my way through. These were actually inspired by the Honey Almond Chia Granola recipe that I shared a few years ago. That feels so weird to say. Man time flies! Anywho, a reader asked how she could make that recipe into granola bars so I wrote it down on the to-make list and ahem, over a year later, finally got around to making them. 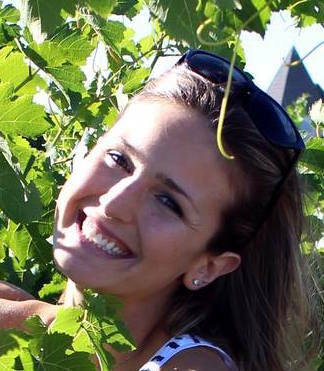 Sorry, I’m a bad blogger. 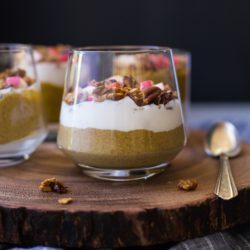 Most of the ingredients are similar except I decided to leave out the egg whites so that it would be a no-bake recipe and also replaced the coconut oil with almond butter to help them hold together better. The only difference with the bars is the addition of lemon zest which you can leave it out if you’re not a lemon fan. If you are a lemon fan, I highly recommend trying them with it. 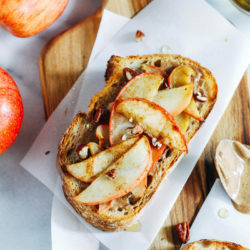 The bright yellow flecks give a fresh citrus flavor that pairs beautifully with the sweetness of the honey and the crunchiness of the almonds. Brandon actually preferred these over my Puffed Amaranth, Pistachio and Dark Chocolate Granola Bars but I liked them both equally. Probably because I’m a sucker for anything with dark chocolate. Please and thank you. However, I will admit that these are easier to make and most of you probably have the majority of the ingredients already on hand. So if you happen to have chia seeds that you don’t know what to do with, all you need is 10 minutes to throw these bad boys together! Line an 8 x 8’ baking dish with parchment paper then set aside. Next add the oats, coconut, almonds, chia seeds, and salt to a large bowl. Stir everything together and then set aside. Combine the honey and almond butter in a small saucepan and place it over low to medium heat. Stir together until they are melted (about 3-5 mins) then remove from heat and immediately stir in the vanilla extract and lemon zest. Pour the honey and almond butter mixture into the large bowl and stir everything until well-combined. Quickly transfer the mixture to the lined baking dish and then use your hands to firmly press it into the dish. If it’s too sticky, you can use another piece of parchment paper on top to help. Once the surface is level and smooth, place the dish in the refrigerator and allow the bars to set for at least 4-5 hours, or overnight. Once they are nice and firm, use the parchment paper to remove them from the dish. Using a large knife, cut them into 1-2” bars lengthwise and then perpendicular down the center. Store in an airtight container in the refrigerator for up to 2 weeks. These look awesome! I’ve been neglecting my little bag of chia sees lately, so maybe it’s time to get them out of hibernation. I really need to be better about making homemade snacks for work! Yum, I love the simple ‘n’ short ingredient list. These look scrumptious!! I have been looking for something new and easy for breakfast that has some protein and healthy fats and this is perfect. And I love the addition of the lemon – a great way to kick off my morning :) Thank you!! I am LOVING the sound of these!! Pinning for sure! I was going through chia seeds like crazy for a while but now I’ve slowed down – I have a whole bag and haven’t put them to use! I think it’s time for some granola bars! haha oh gosh – I’ve done that so many times – someone asks for a recipe and I write it down and then just never seem to get around to it! 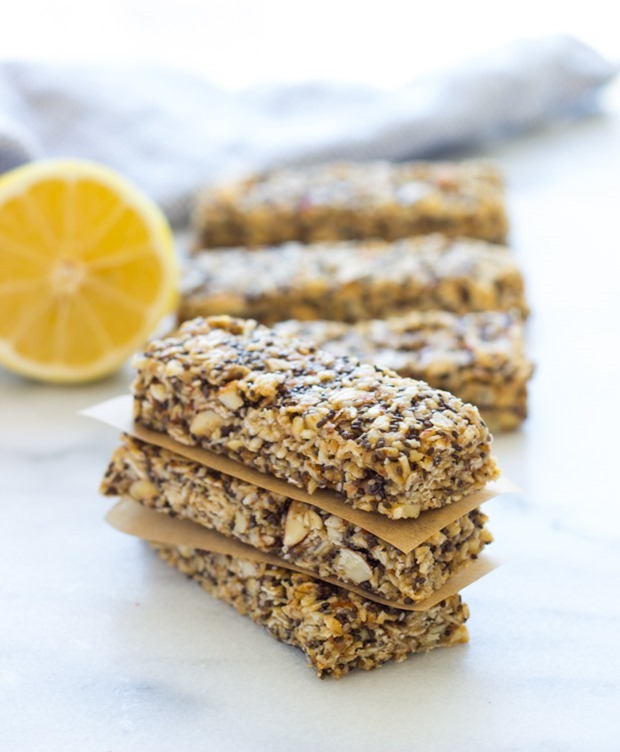 I definitely will be making these granola bars.. they look like the perfect healthy snack for me to take to university. i bet they have a light and springy complexity about them which makes them super delicious bars. way to make a great looking batch! Oh, dawg…I just the other day tried my hand at a no-bake granola bar recipe and the dang thing didn’t turn out! 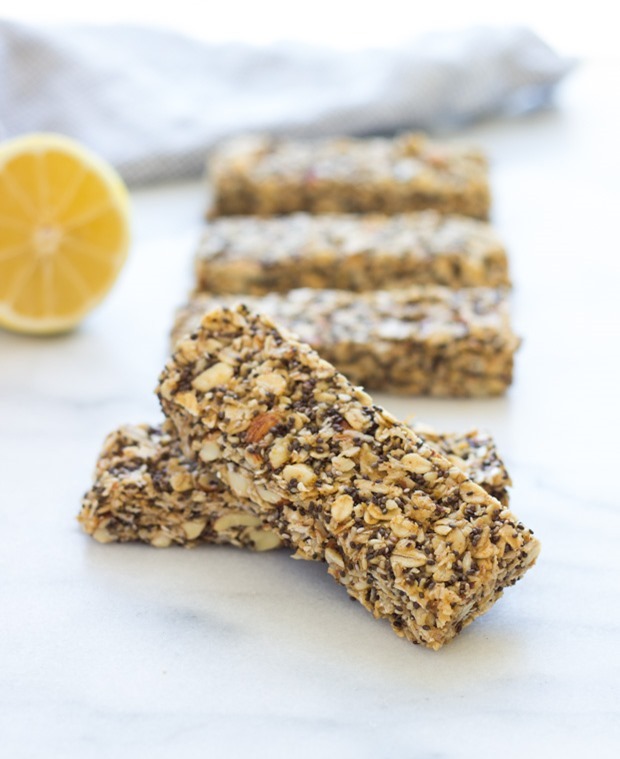 I’ll definitely be making these superiffic chia bars and that lemon/honey combo sounds scrumptious! I need! Love the combo of chia and lemon! I used to hate lemon flavor as a kid but I am super obsessed with it now, it’s a healthy way to add flavor to anything – savory or sweet! First off, I think you should consider a career as a hand model ;-). 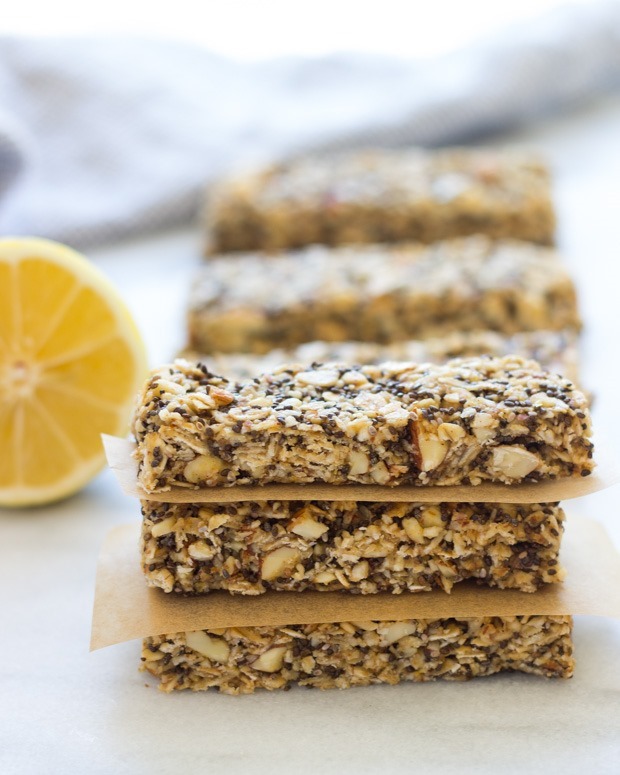 Gorgeous bars – there is nothing in this ingredient list that I don’t love but the crowning glory has to be the lemon – so unique and fresh, great idea. I’m so curious about how strongly the citrus comes through so I think I might just have to give them a try. Ironically, I have all the ingredients save the chia (flax seed tends to be my overstocked item) but that can be easily remedied. I have a big bag of hemp hearts in my pantry that I need to use up! But first, I may make these. These sound like something my lemon-loving mom would enjoy – I’ll need to keep them in mind to make for her sometime! So you use ground chia as an egg replacer huh? I usually do ground flax, but I’ll have to try using chia too! These look so good! I eat a granola bar EVERY DAY!! I really want to start making my own instead of buying them at the store. These look great! I’m not usually big on lemon, but these actually sound really good! Love how simple they are too. Haha I can relate about being a bad blogger. I’ve had recipe ideas in my head for years that I haven’t gotten around to making yet! 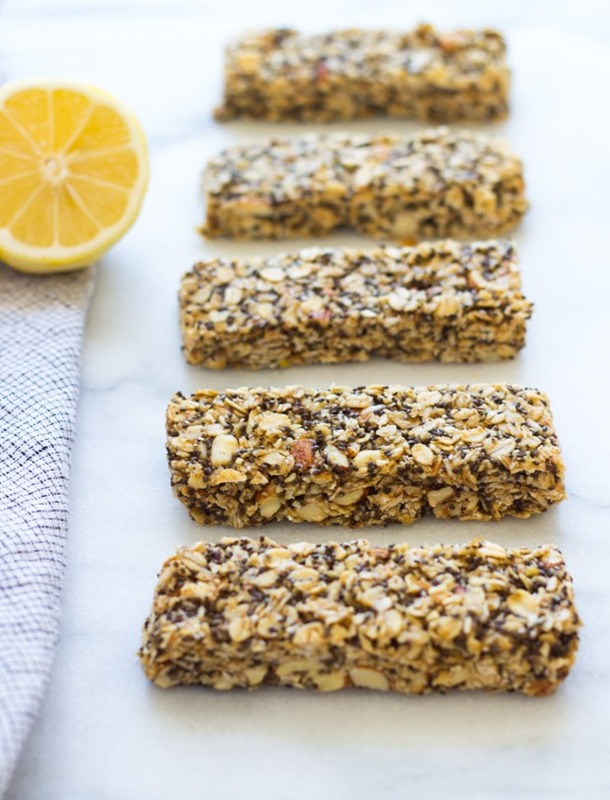 Chia+Lemon: a very original combination I’d love to try! I simply mixed by hand with no heating at all and formed into balls or bars. Add more protein powder if mix is too moist. Sounds delicious! Thanks for the comment, Linda! Hi, do these come out crunchy? Is there anyway oats can be crisp in the bar. 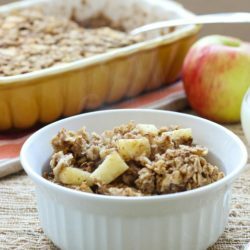 Would it be good to use granola instead of oats for a crispier bar? No they are more chewy than crispy. I haven’t tried making them with granola so I’m not sure if that would make them crispy. 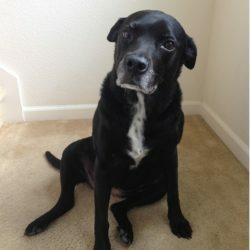 Please let me know if you give it a try! 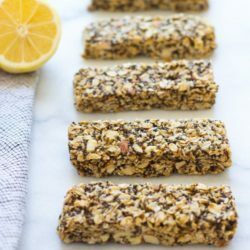 I was looking for a homemade granola bar that was more savory and not too sweet and found this recipe, and I LOVE them. I’ve made them 4-5 times now (I sub peanut butter for almond butter because it’s what I have on hand) and my husband and I eat them everyday on our way to work or sometimes as a snack in the afternoon. 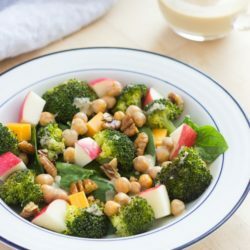 It’s great to have something easy and healthy on hand since we both start work very early and have to drive a lot – these are filling, delicious and make you feel great. I’ve shared them with a ton of friends and they loved them as well. These are my new go to – thanks so much for the recipe! This looks like a great recipie but is the lemon flavor strong? I love a strong lemon flavor and was wondering if I could add some lemon juice or extract to enhance it. It’s definitely noticeable but I wouldn’t say overpoweringly strong. Lemon extract would prob be the best option if you wanted to add more since you wouldn’t need to use very much.